Effective Python provides insight into the Pythonic way of writing programs: the best way to use Python. It builds on a fundamental understanding of the language that I assume you already have. Novice programmers will learn the best practices of Python’s capabilities. Experienced programmers will learn how to embrace the strangeness of a new tool with confidence. Print and digital editions of the book are now available! Effective Python was published by Addison-Wesley (an imprint of Pearson) on March 6th, 2015. Visit the GitHub project to see all of the code snippets from the book in one place. Run and modify the example code yourself to confirm your understanding. You can also report any errors you’ve found. 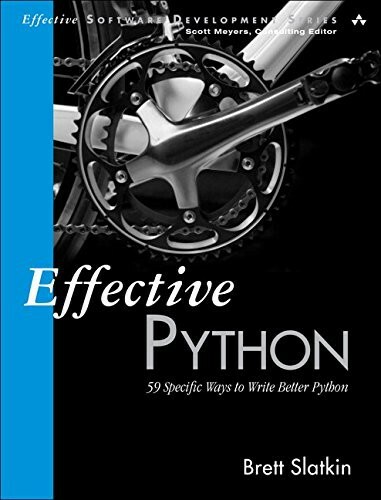 Each chapter in Effective Python contains a broad but related set of items. You should jump between items and follow your interest. Each item contains concise and specific guidance explaining how you can write Python programs more effectively. Items include advice on what to do, what to avoid, how to strike the right balance, and why this is the best choice. The items in this book are for Python 3 and Python 2 programmers alike. Programmers using alternative runtimes like Jython, IronPython, or PyPy should also find the majority of items to be applicable. Brett is a Senior Staff Software Engineer at Google. He is the engineering lead and co-founder of Google Consumer Surveys. He formerly worked on Google App Engine’s Python infrastructure. He is the co-creator of the PubSubHubbub protocol. Nine years ago he cut his teeth using Python to manage Google’s enormous fleet of servers. 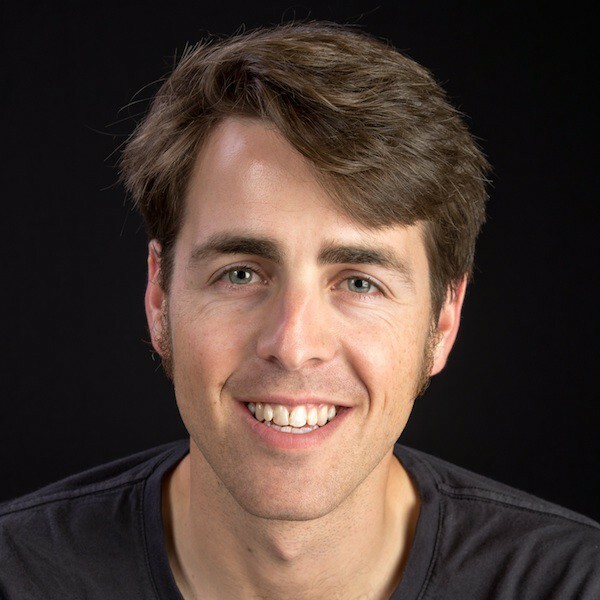 Outside of his day job, he works on open source tools and writes about software, bicycles, and other topics on his personal website. He earned his B.S. in Computer Engineering from Columbia University in the City of New York. He lives in San Francisco. 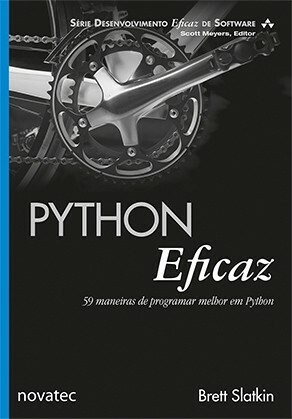 The publishing house Novatec Editora has translated and released a Portuguese version of Effective Python. You can buy the book directly from the publisher. 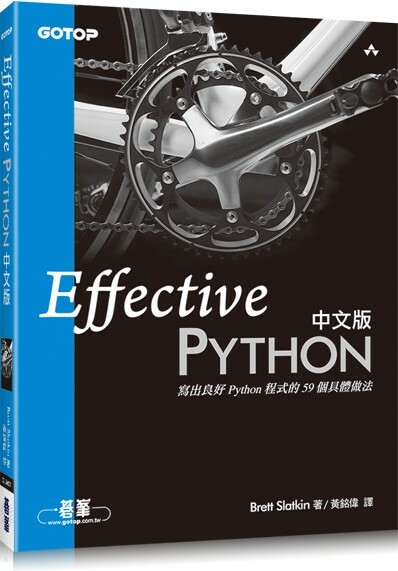 The publishing house 机械工业出版社 (China Machine Press) has translated and released a Chinese (Simplified) version of Effective Python. You can buy the book directly from the publisher or get it on Amazon.cn. 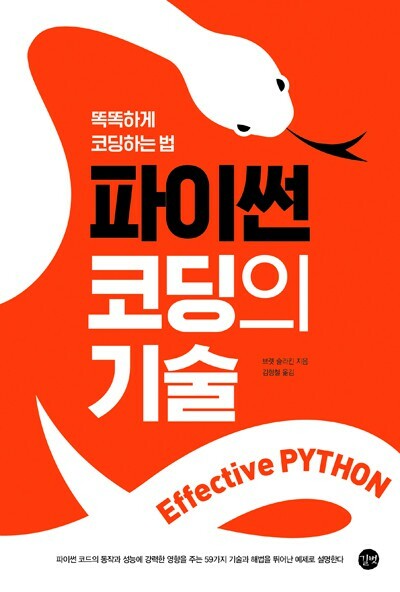 The publishing house Gilbut Inc. has translated and released a Korean version of Effective Python. The publisher’s website links to many different retailers online where you can buy the book. 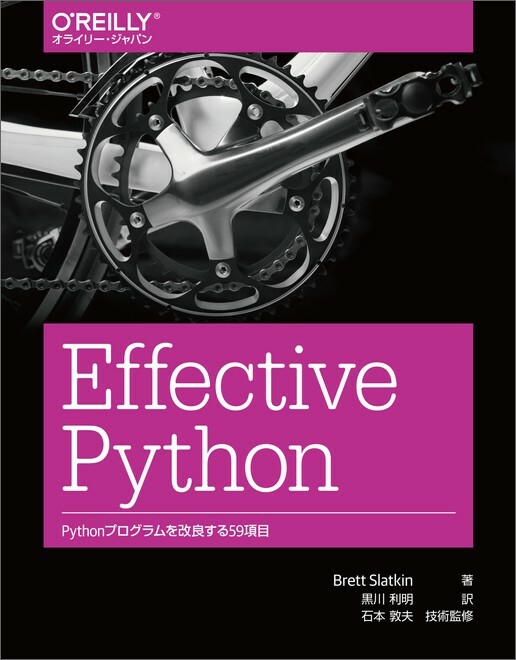 The publishing house O’Reilly Japan has translated and released a Japanese version of Effective Python. You can buy the book directly from the publisher or get it on Amazon.jp. 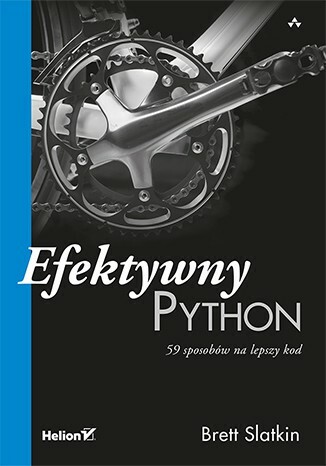 The publishing house Helion has translated and released a Polish version of Effective Python. You can buy the book directly from the publisher. 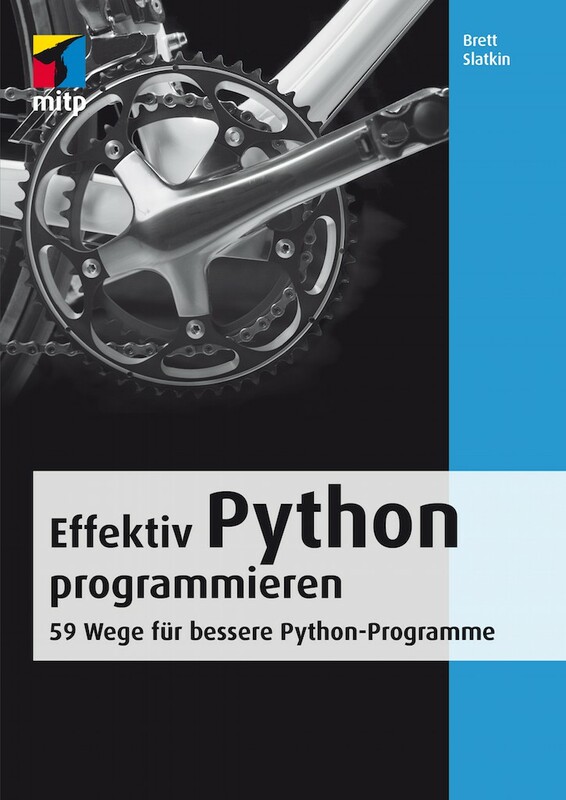 The publishing house mitp-Verlag has translated and released a German version of Effective Python. You can buy the book directly from the publisher or get it on Amazon.de (including Kindle edition). I was invited on to the Talk Python To Me Podcast to talk about Effective Python. You can read the full transcript here or listen to the audio embedded below. Thanks to Michael Kennedy for being such a welcoming host. 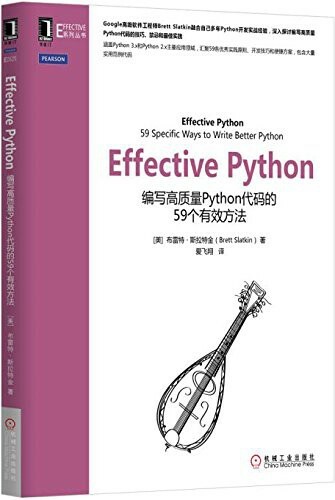 The publishing house 碁峰 (Acer Peak) has translated and released a Chinese (Traditional) version of Effective Python. You can buy the book directly from the publisher or get a digital edition on Google Play. 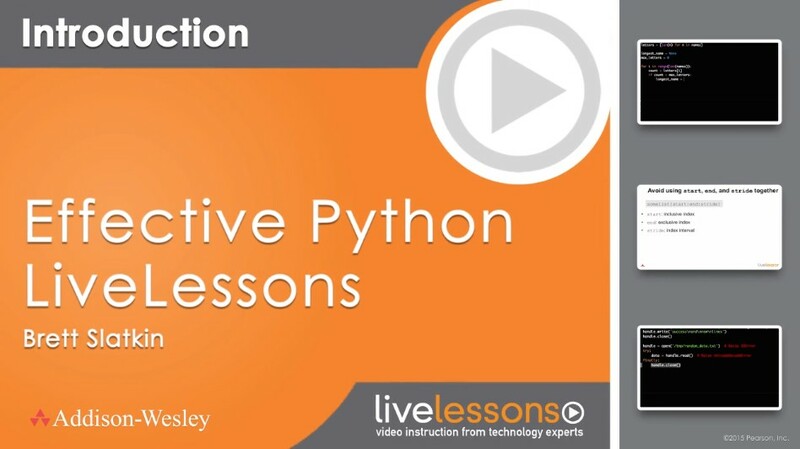 I worked with Addison-Wesley to produce a video version of the book Effective Python. You can view samples and buy the video on the publisher’s website. It includes 5 hours of video, covering 32 items from the book in six lessons. The content is primarily me using a source code editor to write Python programs that demonstrate the items from the book. Printed, physical copies of the Effective Python book are now for sale! Follow this link to buy directly from the publisher (free shipping in the USA). The publisher also has ePub and PDF versions available. Follow this link to buy from Amazon. Amazon also has a Kindle edition available. Digital editions of Effective Python are now available. Follow this link to buy the ePub or PDF version. Follow this link to buy the Kindle edition. The print copy is due out on March 6th. Building larger and more complex programs often leads you to rely on various packages from the Python community. You’ll find yourself running pip to install packages like pytz, numpy, and many others. Can’t wait until next year for the book to be published? The rough cut is now available on Safari Books Online. This is an early preview of the full content of the book before editing has been completed. Effective Python is now available for preorder on Amazon. Follow this link to buy your copy in advance. It will ship in early 2015 once the book is published. The final draft of the book is done. It’s 55,000 words, 250+ pages, 8 chapters, 59 items. Reviewers spent a lot of time looking over earlier drafts to ensure that the book will be useful. Now it’s off to production to be turned into a printable layout. This website is now live! Here you’ll find updates about my progress towards Effective Python‘s eventual publishing by Addison-Wesley. You can find other books from the Effective series in Pearson’s online store.